A classic design in a modern form! 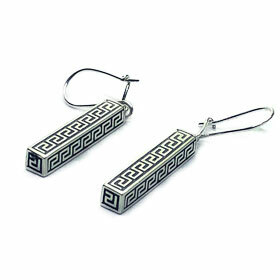 A unique earring style featuring the Ancient Greek Key motif. Earrings measure 25mm (0.98 inches).